The Gauteng, Mpumalanga, and North West provincial Departments of Health presented on the respective audit findings and interventions, the ideal clinic initiative, and the community health workers’ human resources challenges within their provinces. They outlined the steps which they had undertaken to address the Auditor General’s findings, such as engagement with the South African Institute of Chartered Accountants (SAICA) to try and assist with their financial matters, and training for officials on supply chain management and basic accounting skills. Irregular expenditure issues were being addressed, as was expenditure from court orders for medico-legal claims against the departments. Members asked questions relating to the medico-legal claims and negligence cases against the departments, infrastructure projects and challenges arising from budget constraints, the provision of water tanks and generators at health facilities within the provinces, and the procurement and supply chain management challenges. Members also asked about the provision of emergency care services, the training of community health workers and their relationship with non-profit organisations (NPOs) within the provinces, the accommodation of staff, and the training and retention of specialists in the rural areas. Ms Qedani Mahlangu, MEC for Health, Gauteng Province, said community health workers (CHWs) in the province were a key factor in the effective running and provision of health services to communities in the province. In previous years, the Department had sponsored non-governmental organisations (NGOs) who dealt directly with the CHWs and handled their recruitment and payment. It had emerged, however, that there were problems with the management of community health workers, because while others were getting paid even when they did not show up where they needed to be, others were not being paid on time or did not receive their payments at all. There had also been the issue of ‘ghost workers’ to address. In light of the above, the Department had decided to employ the services of an external service provider to handle the recruitment and payment of CHWs, to ensure a system that eliminated ghost workers, and to ensure that all CHWs reported for duty where they were needed. This had caused a lot of unrest which had led to strikes, as CHWs had demanded to be employed permanently by the Department. The strikes had led to disruptions in health facilities, including the damaging of property and assaults of health professionals and patients. The South African Police Service (SAPS) had been engaged and requested to help deal with the unrest. Political parties had taken advantage of the situation, promising to assist CHWs to get permanent employment. Institutions such as Section 27 and Werksmans Attorneys had taken the Department to court on behalf of the CHWs on a pro bono basis. The Department had not been in a position to absorb all of the CHWs, however, due to budget and post availability constraints. The Department was working together with the National Department of Health to address the issue of an exit plan or strategy for the community health workers. This would be done through training that would allow them to access other job opportunities through their work experience. The Department was involved with several infrastructure projects, like the renovation of heritage buildings such as the Tambo Memorial Hospital, which was more than 100 years old. The Department was working towards getting an unqualified audit report. Engagements with the South African Institute of Chartered Accountants (SAICA) had taken place to try and assist it with its financial matters. Training for junior officials on supply chain management and basic accounting skills had been, and would continue to be, provided in order to capacitate employees to change the financial situation of the Department, which was on the right track to deal with the non-compliance issues raised by the Auditor General. Irregular expenditure issues were being addressed, but the bulk of the expenditure was from court orders for medico-legal claims against the Department. These were from cases where patients sued the Department, and some were related to expired medication. The irregular expenditure had been reduced, and there had been progress. The unauthorised expenditure was from the implementation of the Occupation Specific Dispensation (OSD) policy which, at the time, had not been clear and as a result, the Department had had to incur costs through the process of translation. The procurement and contract issues raised by the Auditor General were being addressed and in Gauteng there were about 400 health facilities where procurement was taking place on a daily basis. Deloitte & Touche were helping on a pro bono basis to make sure that the quality of information around the issues that had been raised, was improved. The Department had committed itself in writing to the Auditor General to address all procurement and contract-related concerns. The Head of Department (HOD) had introduced a code of conduct to help address issues of leadership, ethical and moral behaviour among all the managers. Issues of fraud and mismanagement of funds were being dealt with as and when they were picked up. Where an obstetrician failed to report for duty and assist in the delivery of a baby, and the mother’s health was compromised, the Department fired such a doctor because he had failed to lead by example and had opened up the Department to being sued. The Auditor General had identified gaps in information communication technology (ICT). The system was being upgraded to ensure that all patient records were kept, and that there was enough data to monitor the stock levels and the activities within the Department. Proper record-keeping was being addressed, and there had been an overall improvement in the issues of governance and risk management. A Chief Director had been appointed to put systems in place to ensure the smooth running of the department at all times. All the hospitals procured linen from women-owned businesses and it was pleasing that the quality was improving on a daily basis. The linen did not last long, because some patients sometimes took it home. The ideal clinic initiative must have good infrastructure, adequate medication and staff, and good administration systems that would ensure that waiting time periods for patients were reduced. The rating of the clinics was done to assess if they had met all the requirements, and 89 health facilities in the province had met the assessment criteria and ideal clinic status. The Department was working hard to ensure that the other facilities were improved to reach ideal clinic status. Road signage issues were being dealt with, together with municipalities, to have illuminating road signage so that people could see where the next health facility was when they were driving at night. There were nurses who had not been trained in basic life support. Training had been arranged for them so that this gap was closed. Emergency trolleys were going to be replaced. A decision had been made that all clinics must have water tanks so that there was no shortage of water supply. The solar roof initiative was being pushed to ensure that clinics were self-sustainable. The clinic committees were not functional, because the members requested to be remunerated like the hospital board members. The Chairperson asked the National Department of Health (DoH) if they would like to confirm certain information conveyed during the presentation. Ms Jeanette Hunter, Deputy Director-General, DoH, responded by commenting on the issue of community health workers. The Department had a draft policy on the improvement of remuneration of CHWs and their conditions of service. This would be with regard to whether they would be permanent employees, or would be recruited through well-performing non-profit organisations (NPOs). The policy had not been implemented, because it was not funded. The Department was engaging with National Treasury to see how the policy could be implemented in the next financial year. Dr Terence Carter, Deputy Director-General: Tertiary Hospitals Health Services and Human Resource Development, DoH, spoke to the infrastructure issues and the emphasis on the collaborative relationship between the Department and the Department of Public Works on the acquisition of land. The Chairperson asked a question about the maintenance of health facilities in accordance with norms and standards. Dr Carter responded by saying that Gauteng province, unlike the other provinces, was in a peculiar position because of the migration that continued to take place to it. More and more people went to Gauteng to access health facilities, so the Department had to maintain existing health facilities instead of continuously building new ones. The Gauteng population was expected to double by 2030. The focus of Gauteng, as depicted in the presentation, showed collaboration with the Department of Infrastructure Development, and the maintenance of facilities was the direction that all provinces should be moving towards. Mr Ian van der Merwe, Chief Financial Officer, DoH, responded to the issues raised by the Department relating to engagements with SAICA, saying that it wanted to see what would come from them and what other provinces could learn from the collaboration. Ms Valerie Rennie, Head of Corporate Services, DoH, said that they concurred with the classification of medico-legal claims as irregular, and that this was standard throughout the provinces. The Department had taken note of the large number of medico-legal claims and was embarking, together with the provinces and the Department of Justice, on a path of mediation that would reduce the costs, compared to when matters were taken to court. Ms C Ndaba (ANC) commented that the facts presented on the community health workers by the Department were true. The issue of absorption as permanent employees was a serious matter, because the community health workers’ main concern with Smart Purse -- the company that the Department contracted -- paid them late for periods as long as three months. They also encountered problems with the withdrawal of money. There was a worry about who was going to monitor the administrative work done by the company, and whether the company was doing the right job. The forms filled for the advertised posts of CHWs gave rise to problems at the district offices, where absorption had to take place. She was concerned about the court’s verdict that contracting health care workers for a period longer than three years gave them an impression that they would be absorbed as permanent employees, as this would raise further problems The national Department must assist, because the matter was being used by political parties to campaign for elections. Mr T Khoza (ANC) asked about the community health workers’ current relationship with NPOs, and whether their contracts entitled them to benefits such as medical aid, a pension fund and a housing allowance. He asked about the service provider monitoring to see if CHWs were reporting to work, and if the human resources department could not appoint someone to assist with this. He further requested to know what engagements had taken place with the private sector to source funding for projects, and if failure would mean that the projects would not move forward. He challenged the Department to strive for a clean audit. Mr H Volmink (DA) asked a question relating to the CHWs and ensuring that they were absorbed into functional teams within the communities. He asked about infrastructure projects and delayed projects, and their protracted processes. He asked about uninterrupted power supply for central hospitals, and what mechanisms the Department had put in place to deal with collaboration between themselves and municipalities. Ms D Senokoanyane (ANC) asked about the safety of the community workers, the maintenance of health facilities and completion of the identified key projects and adequate budget. The land availability and negotiation for health facilities by the department of public works and department of infrastructure must be clarified. The expenditure of the department, particularly relating to refurbishment of facilities was low. Dr P Maesela (ANC) asked to be given the names of the places where projects were taking place, for oversight purposes. He asked about prioritising the building of ideal clinics instead of maintaining 100-year old buildings, and the training of registrars. The Chairperson asked for an indication of whether the 9 000-odd CHWs was the correctly audited figure. What was going to be done to curb the irregular expenditure of medico-legal cases, the accruals in the Department, expenditure which did not correspond, unauthorised expenditure, and the functionality of health facility governance structures? Ms Mahlangu responded by saying that the information relating to the location of the projects would be sent to the Committee. Regarding the retro-fitting of health facilities, there were 116 clinics that were going to have generators installed in the financial year. The plan was that all the health facilities in the province would be fitted with generators and water tanks by the end of 2019. The Department had a good relationship with all the municipalities and they were all working together to make sure the road signage issue was resolved quickly. The land for health facilities had to be identified by the Department, but there were difficulties with the process. It had thus been agreed that when a project was under way, all departments must make their land needs known so that it was not seen only at the end of projects that the required land for a health facility was not available. The maintenance of old buildings could not be done away with because some of the buildings, such as Tambo Memorial Hospital, were heritage sites and therefore must be refurbished in terms of the Heritage Council rules. The Department could not continue building new facilities and neglect the existing ones. There were a lot of distortions about the Smart Purse organisation, and the issues would be resolved with immediate effect. The Department was not able to absorb all the CHWs as permanent civil servants. The safety of CHWs was not an issue, because they were members of the communities in which they worked, and were thus not at risk of being hurt. The CHW programme had been abused by civil servants and other people, but processes were being dealt with. The decision to move payments from NGOs to Smart Purse was to curb the corruption of NGOs paying the CHWs less than what the Department had sponsored. The uninterrupted power supply issue was being addressed with the Department of Infrastructure Development. The CHWs were not entitled to benefits, and the focus was on an exit strategy to ensure that they could get bursaries to be nurses, administrators and so forth. CCTV cameras were installed in the health facilities throughout the province to help deal with the issue of security of employees. There had to be lighting on the floors and basements to tunnels at hospitals and pathways to the mortuary, so that when a person had passed away they could be wheeled out instead of waiting until the morning. The audit matters in the Department would continue to be worked on so that a clean audit report could be obtained. The 30-day payment of service providers remained an issue and the Department was working with the provincial treasury to see how systems could be put in place to ensure that service providers could be paid in time. The Department had a dispute with the National Health Laboratory Services (NHLS), where a report commissioned showed that the NHLS owed the Department R1 billon. The Department, however, was continuing to pay any amounts due to the NHLS until the matter was resolved. There were accruals each year because of section 27 of the Constitution, which meant that patients could not be turned away just because they did not have money. The Department had decided to terminate the services of the State Attorney for medico-legal cases, and pay private attorneys. This was because the case audit showed that the State Attorney did not defend cases that had merit to be defended, and kept settling. The cases being dealt with were from a long time ago, because parents realised that something went wrong during the birth only when a child was seven to 12 years old. The Department had the biggest number of doctors being trained, and posts were being created. Additional training platforms were being provided, and collaborations with medical schools were looking into ways in which hospitals such as the Mamelodi, Tembisa and Kalafong hospitals could be capacitated. The registrars must, however, have a senior person overseeing them, and if there were doctors who were more committed to private practice, then their services were terminated. The Department wanted to build hospitals in the north and south of Johannesburg in order to relieve pressure on the Baragwanath Hospital. There were private organisations who had committed to helping with the projects, and there were specialist surgeons who had committed R15 million to help with the backlog of knee and hip replacement surgeries. Leratong Hospital had been identified as an ideal initiative hospital, and would be used as a best model for other hospitals. There was an automated system for the collection of medicines at Steve Biko hospital, so that patients did not have to wait for a long time to collect their medication. A bed management system had been introduced to ensure that when an ambulance picked up a patient, it was already known which bed was available at which hospital. The Chairperson thanked the MEC for the presentation and said that the Department must furnish written responses to some of the questions raised within seven days. Mr Gillion Mashego, MEC for Health, Mpumalanga Province, said that the Department had been in the news in connection with medical waste which had since been addressed at the Themba and Rob Ferreira hospitals. The laundry machine problems at the hospitals had been addressed. New boilers were being procured and major repairs were being carried out. Every hospital in Mpumalanga had a standby generator. The vacant senior management positions had been filled. A chief electrical engineer, a Director: Internal Audit, Director: Supply Chain Management, Director: Strategic Planning and CEOs for the hospitals had been appointed in the province. There was a backlog in orthopaedic surgeons, and some had been recruited from Cuba. 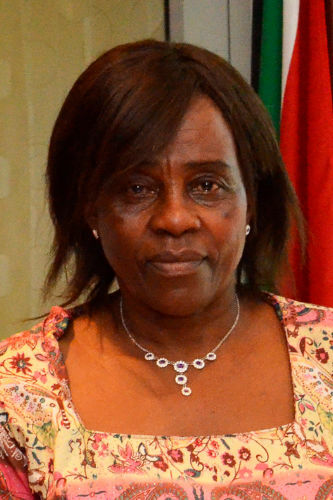 Dr Savera Muhangi, Head of Department, Mpumalanga Department of Health, said that in the current financial year they had appointed 721 new CHWs. The challenges that were faced with regards to the recruitment and retention of specialists were attributed to the fact that it was a rural province, currently without a medical university. The intervention had been to partner with the University of Pretoria to train nurses and specialists and Emergency Medical Services (EMS) personnel, and medical officers were being trained in Cuba. There was a challenge of accommodation for health professionals, and the intervention was that all future infrastructure plans must include accommodation for health professionals. In the meantime, health professionals were being offered an accommodation allowance. There was a challenge with the translation of 255 nurses, of which 63 had been approved. The intervention was to move the nurses to facilities where there were funded and vacant posts. Human resource development had seen the recruitment of 155 student nurses in the current financial year. An additional 100 students had been recruited for the KwaZulu-Natal programme, and 40 for the primary health care programme. A total of 562 had graduated from the four year diploma course. Rob Ferreira Hospital had been identified as a satellite campus, and it should be equipped with books and accredited by the third quarter. Ten students had been recruited for the Cuban programme, where there were a total of 223 students in the programme, of whom 18 were doing their final year in South Africa. More students would continue to be recruited for this programme. The Department had good relationships with organised labour and encouraged quarterly meetings. The cases of irregular expenditure were being settled, as well as the bargaining council and labour court matters. There were 123 ward-based CHW teams which were trained through the NPOs, and which had created around 5 000 jobs. The integration of CHWs included training, standardising the stipend and whether they should be absorbed into the Department as employees. The infrastructure projects in the province included five hospitals that had been identified for high-tech refurbishment and renovations, and there were clinics that had been identified for the ideal health initiative. These included the Kanyamazane, Oakley and Balfour clinics. The capacity of the infrastructure in the Department had been increased through the appointment of staff and artisans. The planning, design and construction of projects were at different stages. A new paediatric ward had been added at Witbank hospital, and an x-ray unit had been added at Themba Hospital. The big five hospitals in the province all had generators that were working. The UPS model was being implemented at clinics in order to curb expenses. The challenges affecting the progress of projects included social unrest, poor performing contractors, the termination of poor performing contractors and the appointment of new ones, slow payment, lack of capacity, and contractors abandoning sites. Interventions were being put in place to address these challenges. The concerns which had been raised by the Auditor General had led to a qualified audit for this financial year for the Department. Interventions were being put in place to address all of these concerns. The supporting documentation for all subsidies and transfers would be kept. Supply chain management and procurement would now be addressed, as the new director had been appointed and had started working. Contract management processes would be put in place to deal with expired contracts on a day to day basis. The implementation of the ideal clinic initiative had been planned to have 46 clinics to meet the ideal clinic status in this financial year, based on the funds available, but the plan had been reviewed in March. Infrastructure improvement plans were in place to address the poor infrastructure at Primary Health Care (PHC) facilities in the province. These plans would assist in ensuring that the province was on track with the ideal clinic status goals. Data management remained a problem in the province, and the roll out of e-health would assist in keeping the records of patients and their files. The feedback received from the communities helped the Department to improve on the appearance and service at PHC facilities. Ms L James (DA) asked who administered the training of community health workers, the duration of their course, and what tools they were given to assist them with their tasks. Ms C Ndaba (ANC) requested that the information that the MEC had given regarding the progress in the province should be provided in writing, so that the Members could engage with it. She asked about the exact number of CHWs in the province and the breakdown of the number of CHWs that each NPO worked with, and the stipend that was paid to them. She wanted to know when the supply chain management director was going to commence his/her duties, the plan the Department had to ensure that suppliers were paid within 30 days, and the infrastructure maintenance plan it had for its clinics to reach ideal status. Mr Khoza asked about the unrest that had taken place and resulted in disturbing the progress of projects -- what their cause was, and the specific challenges that stood in the way of the province achieving ideal clinic status for all its clinics. Ms D Senokoanyane (ANC) asked about the challenges in the running of the CHW project, about project performances and targets for infrastructure projects, whether there were adequate funds to finish projects, the abandoning of sites by contractors and what was being done about that, the commencement of investigations and the delayed payments of suppliers. Mr H Volmink (DA) asked about emergency care and the province’s ability to provide it. He said the 96 posts and the amount set aside for the posts did not correspond -- what was the department doing to address the funding deficiencies? What were the human resource management (HRM) needs of the Department, and how were they being dealt with? He referred to the accruals and delays in appointing consultants and contractors, and asked what guarantee the Department was going to give to ensure that it would not receive a qualified audit report. Dr Maesela asked about the school health service and its progress, recruitment of CHWs and the number that met the standards of being absorbed, the HIV and TB profile of the province, whether there were dialysis machines in the province, and about the x-ray unit issues at Rob Ferreira hospital. The Chairperson asked to have a breakdown of the NPOs’ location per district and sub-district, the relationship between the NPOs and the ward-based teams, the treatment of CHWs by NPOs, the progress of the psychiatric hospital, why the Department was under-spending on infrastructure, the delayed appointment of contractors and the financial implications of extension of projects. He wanted to know the cause of the irregular expenditure, and what was being done to address it. Ms Hunter responded that the presentation had shown what the Department was doing to improve health care services in the province, and that she had witnessed the turnaround in events in the past 18 months. Systems had been put in place to ensure that health care services were provided. The CHWs were stipend workers, and the National DoH had developed software that would enable it to compare the provinces so that they could know exactly what was happening and the way forward. The province was behind in the implementation of the ideal clinic initiative because different service providers had been appointed to avoid a monopoly, and some of the designs for the province were not up to the standard of national’s specifications, and had thus had to be re-done. Dr Carter concurred with Ms Hunter about the progress of the Mpumalanga province, and said that he had personally witnessed the change in the provision and management of health care services in recent months, and that although much still needed to be done, the province had indeed come a long way. Mr Mashego thanked the Committee for its questions and comments, and said that the delegates would respond to all the questions raised. Mr Casper Mnisi, Chief Financial Officer, said that the training of supply chain officials would be started, and would equip them with the policies and a manual. 250 officials would be going through the training. The fruitless and wasteful expenditure had not been presented on because R12 million of that had come from previous years as interest from Health Laboratory Services. The Department had developed a register that was updated on a monthly basis to see what was happening, and where it was seen that an invoice was accruing interest, a letter was written to the CEO, and they were given 90 days to settle the amount. There were cash flow problems and invoices not being paid on time, but the matter was being addressed. More than 200 queries received from the Auditor General would be addressed and the Department was confident that it would receive an unqualified report. Irregular expenditure was going to be investigated, because the opening balance figure was a cumulative amount from the years 2004/5, which included committed overtime. It would not be easy to deal with this issue, because people had passed away, left the system or retired. Where a new contract was about to be concluded, during the process the existing contract would still need to be adhered to, and that meant that money would be accruing on that contract. The Director, Supply Chain Management had commenced duties on 15 August, and the Department was confident that there would be a turn-around in procurement. This would also include efforts being made to pay suppliers within 30 days. Ms Sipho Motau, Acting Deputy Director-General, Clinical Services responded to the question about CHWs, and said that CHWs included home-based carers that provided home-based care within communities. The exact number of CHWs in the province was 881, who were linked to the ward-based outreach team. Training was provided in two phases by the national department, and CHWs who were identified as having literacy skills were trained to be on the ward-based community outreach programmes. There was a regional training centre at Gert Sibande District that was accredited to train CHWs to understand what was required of them in their duties. The Department funded 269 NPOs, and a breakdown per district and sub-district would be provided to the Committee. The stipend given was R1 200, which was far below the Ministerial determination, but which had increased from the R500 that had been given in the past. The Department was working on ways to increase the stipend. The Department worked closely with the NPOs to select the CHWs, and there was a Service Level Agreement in place that was based on performance to prevent misuse of funds by NPOs. There were coordinators who monitored that the service level agreements were being adhered to. CHWs were not given any benefits from the Department because they were contract workers on stipend. The province had not been doing well in terms of its HIV profile, but there had been improvements in the TB cure rate. The province required 121 school health systems, which was far less than the 36 that were currently there. Collaboration with Eskom had helped the province to move forward in this regard. Mr Charles Morolo, Deputy Director-General, Department of Public Works, Roads and Transport, responded to the infrastructure-related questions and said that the information provided on the targets and indicators was not clear. He explained, using slide 30, to show what was being done with respect to the projects. The province may not be performing as expected, but was gradually moving in the right direction. The leaking issue at Rob Ferreira had been addressed, as well as the air conditioning. The mental and psychiatric hospitals had consultants who were doing a business case on the clinical brief, and they would be working together with the national department. There were maintenance plans for the ideal clinics, but the budget constraints remained a challenge. The social unrest had been due to a contractor being appointed who was not from the specific locality, and political interference had also contributed. Interventions in place included agreements with contractors to source the labour force from within the communities for projects. Lack of social facilitation by the Department in the communities must also be improved. The late appointment of contractors was related to the lack of timeous planning. Extension of projects was sometimes without costs, but there would be hidden costs related to the reimbursement of professionals’ expenses. The MEC ended off by saying that all the questions that had not been answered would be responded to in writing. Dr Magome Masike, MEC for Health, North West Province, gave an overview of the presentation, and said that the Department had been steadily been moving towards the Ministerial determination of the stipend to be given to CHWs. CHWs in the province were paid a stipend ranging between R2 000 and R2 500 per month, and were divided into three categories determined by the duties which they performed. There were a total of 8 001 CHWs in the province. The challenges relating to CHWs were that they were being mobilised by political parties to demand an increase in the stipend, and to be permanently employed by the Department. There had been reports of delays in Unemployment Insurance Fund (UIF) payments and accreditation of training. Remedial action included the National DoH creating a standardised cadre of CHWs in the country. Infrastructure projects had a budget of R463million allocated to rural villages and small towns in a deliberate attempt to improve the standard of living and access to health care facilities in the province. There had been conditional assessments of health facilities in the province and priority issues had been identified, which would require roughly R400million for all of them to be successfully addressed. Only high priority issues would be dealt with in the current financial year. Projects would be advertised and awarded by the end of the financial year. The projects that were currently in progress were at different stages of implementation and completion. Court orders and low quality concrete supplies were some of the challenges that were faced. An overview of the infrastructure budget would not allow all identified projects to be effectively addressed. The Department had been given a qualified audit report, which was largely due to commuted overtime and medico-legal claims. There had been no unauthorised expenditure in the 2015/16 financial year, and wasteful expenditure was largely on accruals on interest from previous year projects. The Department had achieved a reduction in accruals. Medico-legal claims continued to increase due to cases of medical negligence and emergency care services. The ideal clinic and maintenance initiative in the province was being addressed to ensure the quality of clinical care provided to patients. Categories of achievements were shown on the slides, and the status of peer reviewed clinics in the province showed that 52 had reached ideal clinic status. Challenges identified during the review included the non-availability of tracer medicines, certain essential equipment, water tanks and generators, and external signage. Procurement processes had started in order to get essential equipment and tracer medicines at health facilities. The province had identified all gaps and challenges, and had put in place mechanisms to address them. The MEC concluded the presentation by showing pictures of the projects that were currently active or had reached completion. Mr Volmink asked about the CHW categories and the standardisation of ward-based outreach teams, how the Department had managed to reduce the accruals, and the poor performance in achieving ideal clinic status by providing water tanks and generators. Mr Khoza asked about the maintenance of projects, amounts allocated to new infrastructure projects and what would be done to improve on the challenges of ideal clinic status. Ms Ndaba asked a question about the total number of employees in the Department, the compliance with the Ministerial determination of CHWs’ stipends, the total budget allocated for CHWs stipends in the province, and the relationship between the Department and NPOs in the province. Ms Senokoanyane asked about the court order and sub-standard concrete supply, the delay in the completion of projects and penalty clauses, the medico-legal claims and the qualified audit report based on the commuted overtime. Ms James asked about the relationship between the community health workers and community development workers (CDWs). Dr Maesela asked about the total budget allocated for CHWs stipends, the role of the Department in the training of CHWs, the infrastructure challenges and the relationship with human resources for specialised skills, and the Department being placed under administration. Mr Thabo Lekalala, Head of Department, responded that the court order had been the result of disagreements between the Department and the contractor. They had since been resolved and the contractor had returned to the site. The Department remained responsible for medico-legal claims to avoid health professionals downing tools in the fear that they would be held personally liable for negligence when things went wrong with patients, when sometimes it was due to a system failure by the Department. He said that the MEC would respond about the relationship with CDWs, as it was a political issue that could be addressed only at that level. The issue of water tanks and generators at clinics was being addressed, and procurement processes had been finalised. It was the hope of the Department that by the end of the financial year, all the clinics would have water tanks and generators. The Chairperson requested that in the interest of time, all the questions that had not been answered should be responded to in writing to the Committee within seven days.